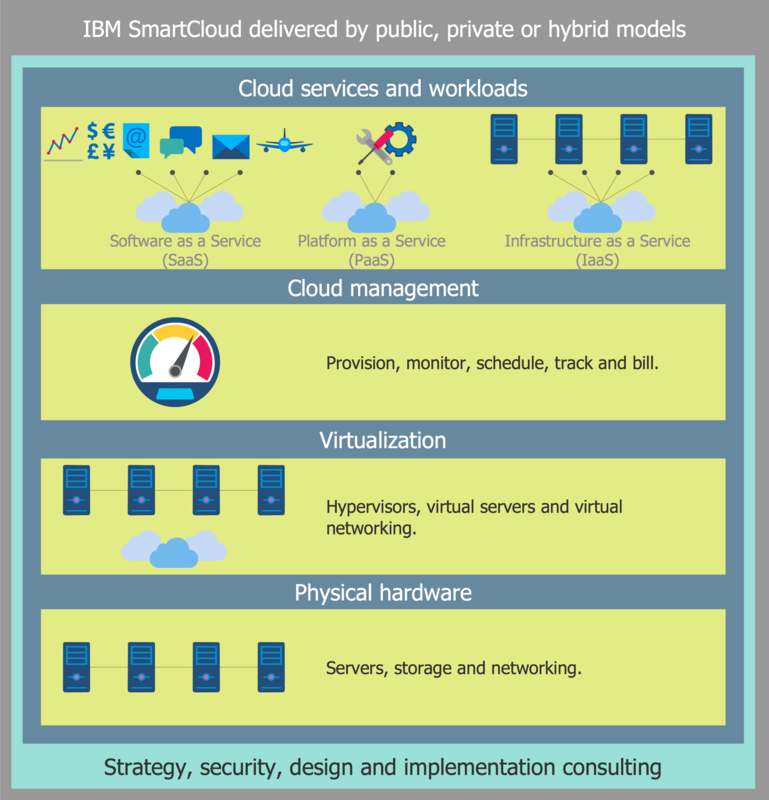 hybrid cloud (the combination of three previous types). 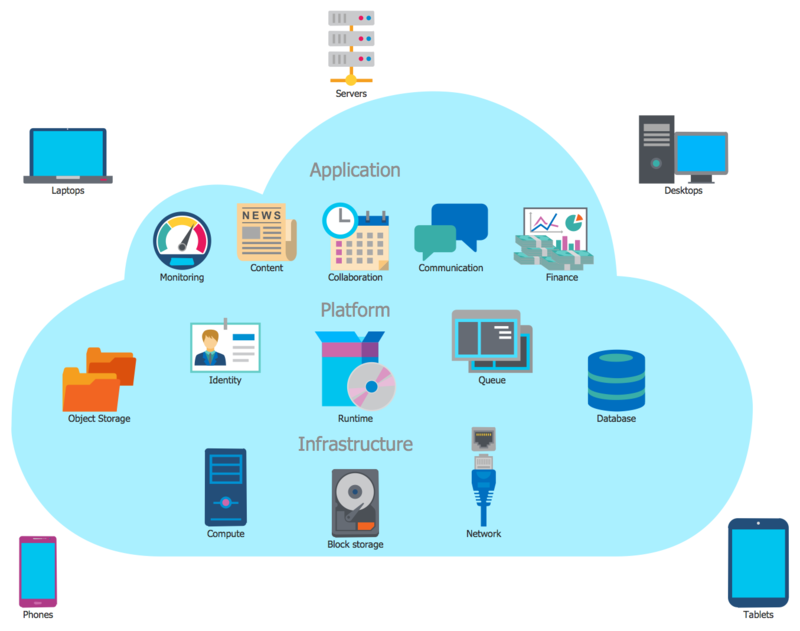 When designing the Cloud Computing Architecture diagrams, the ConceptDraw DIAGRAM diagramming and vector drawing software advises to turn attention for the powerful Cloud Computing Diagrams solution from the extensive Computers and Network area of ConceptDraw Solution Park. Cloud Computing Diagrams Solution provides 4 libraries containing 492 vector objects specially developed by professionals for ConceptDraw DIAGRAM users. Click previews below to enlarge them. 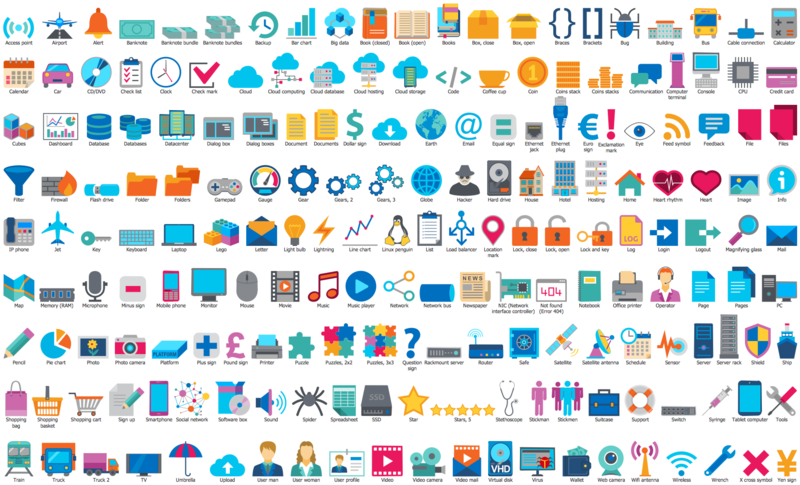 Thanks to these libraries of predesigned objects, you can design your Architecture diagrams and Cloud Computing Architecture diagrams of any complexity in a few clicks. 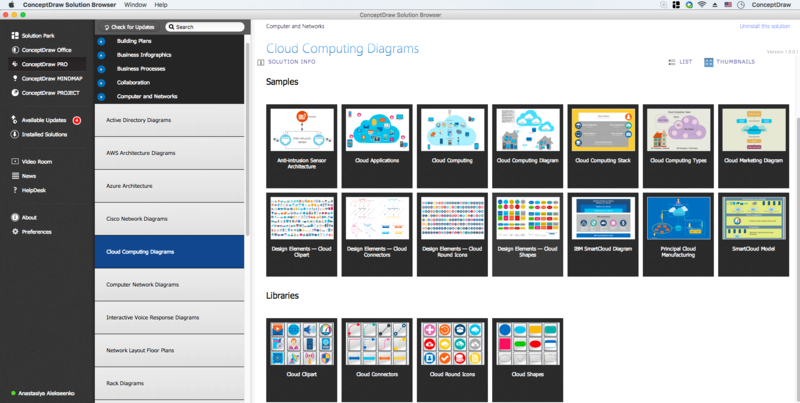 The Cloud Computing Diagrams Solution contains also variety of helpful Cloud Computing examples and samples which are available for viewing and editing from ConceptDraw STORE. The diagrams you see on this page were created in ConceptDraw DIAGRAM using the tools of Cloud Computing Diagrams Solution for ConceptDraw Solution Park. 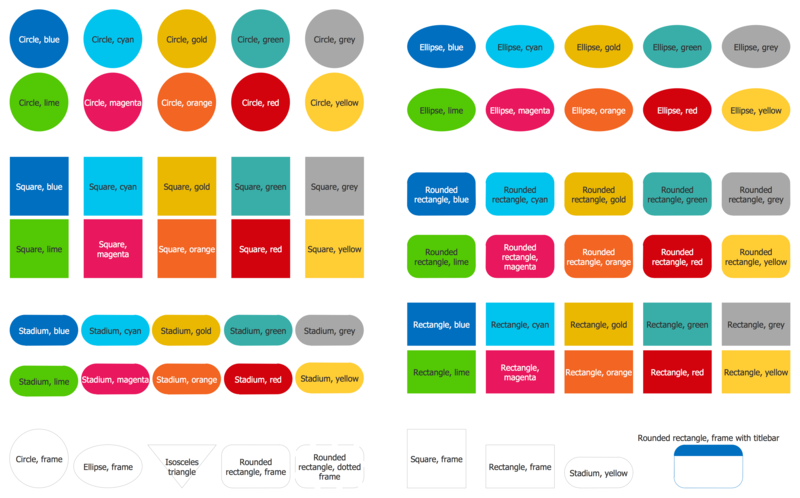 An experienced user spent 5-15 minutes creating every of these samples. Use the Cloud Computing Diagrams Solution for ConceptDraw DIAGRAM software to create your own professional looking Cloud Computing Architecture diagrams and schemes quick, easy and effective, and then successfully use them in your work activity. The diagrams and schemes are effective way to visualize the Cloud computing, the differences in their types and how Cloud computing works. 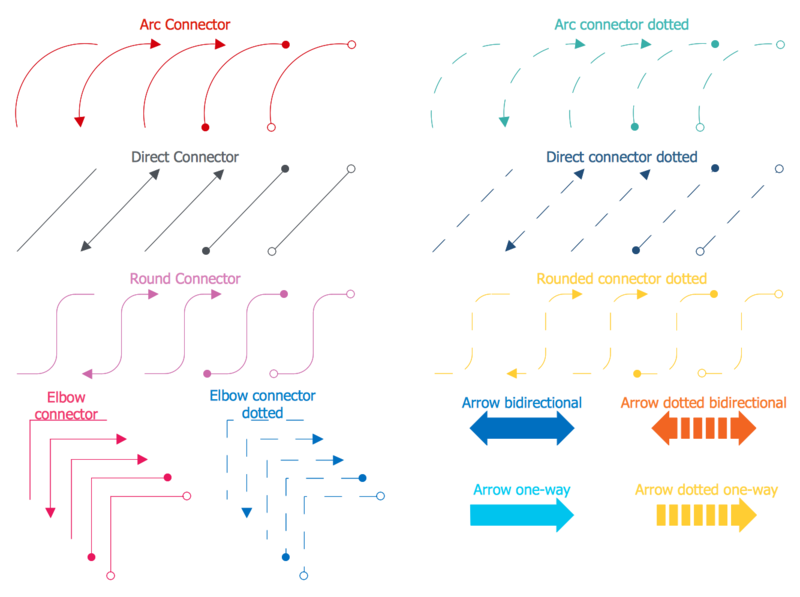 Thanks to the ConceptDraw DIAGRAM v12 diagramming and vector drawing software extended with Cloud Computing Diagrams solution from the Computers and Network area of ConceptDraw Solution Park, you can design diagrams as easy and quickly as you need.